Heather McGinley and Sally Braley Bliss. Heather McGinley and Sally Braley Bliss join Alex Heuer on "Cityscape" to discuss Paul Taylor Dance Company's performances this weekend. 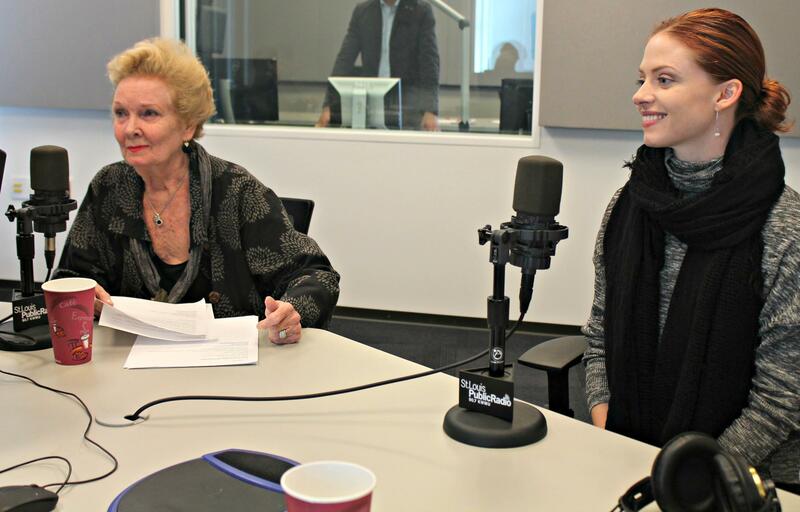 Sally Bliss, the former executive director of Dance St. Louis who now sits on the board of the Paul Taylor Dance Company, also joined McGinley in studio. She will be honored at the Oct. 3 performance. A dancer with a history stretching back to the 1960s, when she joined the Metropolitan Opera Ballet, she danced with both Michael Uthoff, the current executive director of Dance St. Louis, and Paul Taylor himself. I call him the god of modern dance because he is the one who is left. What he's done is amazing. He's still creating, he's 85-years-old. The Paul Taylor Dance Company consists of 16 members. Performances this weekend will feature three of Paul Taylor’s works, which McGinley said offers a nice spectrum of his repertoire, which consists of over 140 pieces. The first is titled “Mercuric Tidings,” of the 1980s. “It’s a flurry of pure movement,” McGinley said. The middle dance is “Three Dubious Memories,” which was choreographed in 2010 and portrays a love triangle from three different angles, using sparse and angular movement. The show will close with “Piazzola Caldera,” which is in the style of Paul Taylor but it shows the essence of tango. St. Louisans will get to see three former Alvin Ailey dancers — who now live in the Gateway City — in a Dance St. Louis showcase next February. The performance will feature St. Louis native Antonio Douthit-Boyd, his husband, Kirven Douthit-Boyd, and dancer Alicia Graf-Mack. Last January, the Douthit-Boyds announced they were leaving the prestigious Ailey company and moving to St. Louis to work at COCA. Graf-Mack had already made a new home in St. Louis. It’s not often that 30 different professional dance companies perform in the same place on the same weekend. But it’s happening this weekend at the Touhill. Beginning Thursday, May 22 and ending Saturday, May 24, ten different professional companies will perform each night, representing a spectrum of dance styles and locales over the course of the three nights. 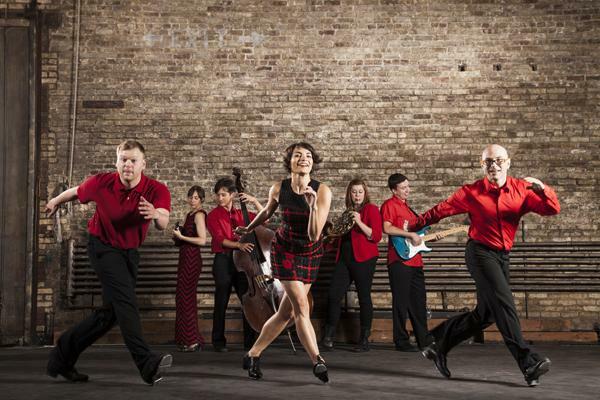 St. Louis is represented by at least one local company per night, with performances by The Big Muddy Dance Company, Leverage Dance Theater, Saint Louis Ballet, Common Thread Contemporary Dance and MADCO. Fans of dance in St. Louis are in for a treat this weekend, with National Dance Week - St. Louis taking over Grand Center and an exciting dance performance at the Touhill Performing Arts Center. 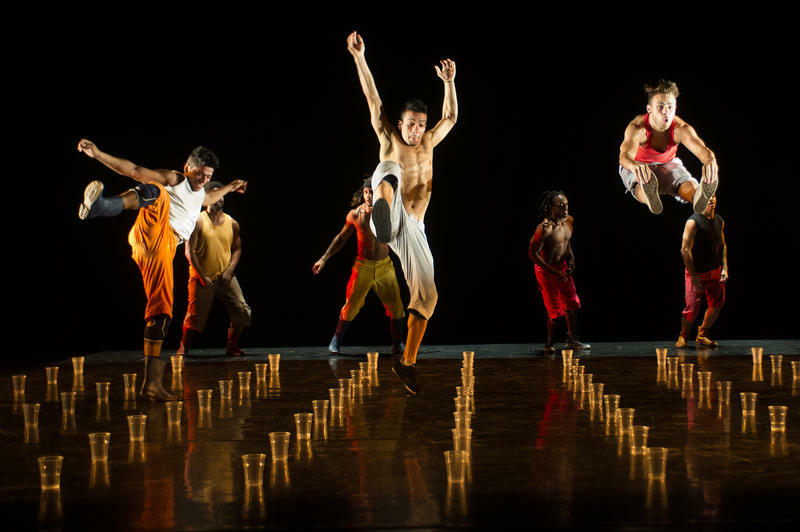 Dance St. Louis presents Compagnie Käfig, a male Brazilian dance troupe that has been selling out performances on their U.S. tour and will perform at the Touhill this weekend.